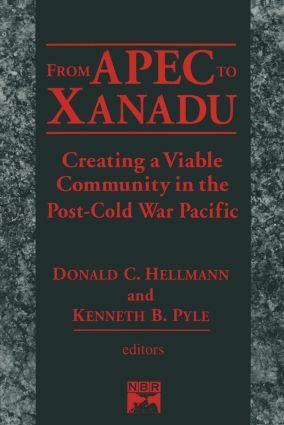 This volume analyzes the concerns that must be addressed if Asia-Pacific Economic Cooperation (APEC) is to be a viable component of the post-Cold War international order, such as what the future role of the USA who made Asia's transformation possible since 1945, is as a leader in that region. The economic analysis of legal and regulatory issues need not be limited to the neoclassical economic approach. The expert contributors to this work employ a variety of heterodox legal-economic theories to address a broad range of legal issues. They demonstrate how these various approaches can lead to very different conclusions concerning the role of the law and legal intervention in a wide array of contexts. The schools of thought and methodologies represented here include institutional economics, new institutional economics, socio-economics, social economics, behavioral economics, game theory, feminist economics, Rawlsian economics, radical economics, Austrian economics, and personalist economics. The legal and regulatory issues examined include anti-trust and competition, corporate governance, the environment and natural resources, land use and property rights, unions and collective bargaining, welfare benefits, work-time regulation and standards, sexual harassment in the workplace, obligations of employers and employees to each other, crime, torts, and even the structure of government. Each contributor brings a different emphasis and provides thoughtful, sometimes provocative analysis and conclusions. Together, these heterodox insights will provide valuable supplementary reading for courses in law and economics as well as public policy and business courses at both the graduate and undergraduate levels.